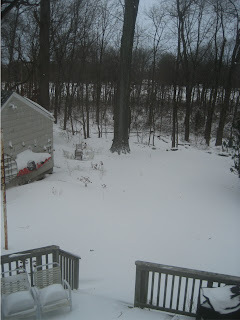 Today was the day I was supposed to begin my new class in international relations at University of Connecticut, but there is a pile of snow here in the Nutmeg state, and school is canceled. 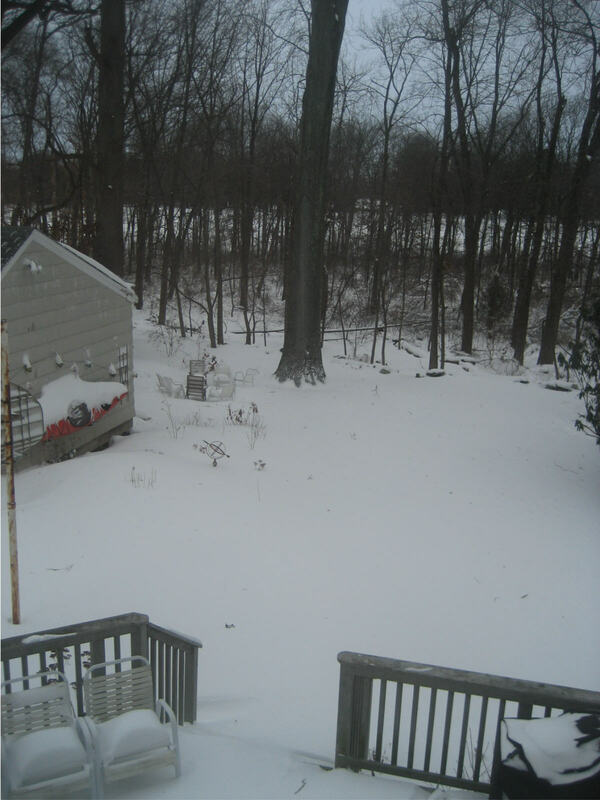 Trains to New York City are canceled too so here's an otherwise unscheduled blog post written while listening to the wind howling outside my window, a wind that is making an impressive snow drift in front of my garage door. A fifty mile swath of snow wreaks havoc causing New York area airports to close or cancel flights. No airport is an island and when New York shuts down it is the closing felt 'round the world. (Hello Qantas, Air France, Virgin America, Emirates and El Al) An estimated four and a half million travelers were to be using JFK, La Guardia, Newark Liberty International and Stewart Airport this holiday season. If this stranded travelers story seems like deja vu to you, my cosmopolitan readers, that's because you remember that in London - the world's busiest aviation hub - winter weather shut down airports last week. The backlog of passengers didn't start clearing out until Christmas Day. The passenger bill of rights was conceived following a similarly inclement December in 2006, when a number of American Airlines flights were diverted. After landing, passengers were left sitting in airplanes on the tarmac for hours because no gates were available.The peevish Kate Hanni who had been on one of the flights, started a passenger rights group that really took off with a redux on JetBlue 14 months later. It was a snowy Valentine's Day and the New York-based budget carrier canceled flights and bungled the handling of the ones remaining. Once again people were stuck on airplanes, passenger tempers boiled, Ms. Hanni's army grew. In his column on the events then, The New York Time's columnist Joe Sharkey makes the important point that passenger rights isn't the issue, its the symptom. The larger problem is one of staffing. In an era of airline cost-cutting, gate agents, ramp workers, customer service representatives became interchangeable. These jobs could be handled by the same person. (View the episode of Undercover Boss featuring Frontier CEO Bryan Bedford for a great example.) Stretching personnel this way may be an easy and effective option on a sunny day. When the snow flakes hit the fan however, well, the flakes hit the fan. 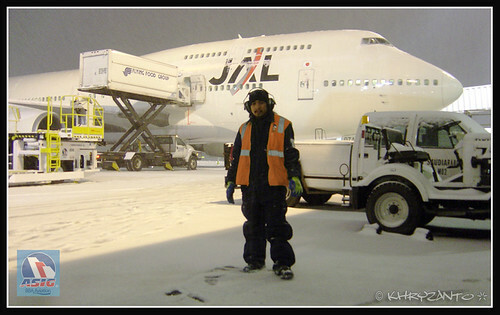 Even in their new profitable state, few airlines are choosing to hire more people, but the blizzard of 2010 is so far noteworthy in that a few carriers have tried to head off another passenger nightmare scenario. Associated Press is reporting that Delta, Continental, United, American and AirTran will let travelers reschedule their flights without change fees. Reducing the number of folks who must check in at the airport to preserve the value of non-refundable, penalty-for-change airfares, will reduce the stress on the system and on airport workers, not to mention travelers and that has to be a good thing. But clearly its not an end-all. As surely as the snow will fall in winter, there will be havoc and make no mistake, we are in the middle of the latest episode. Jason Cochran, trying to make his way from New York to London told CNN yesterday that he was stuck on a plane with broken air conditioning and one bathroom out of service. It was pretty tense, he said. "People felt like they (had) no control over the situation." That's right Jason, weather can do that. you hit right at the target: The problem is that Airlines, Airports, Handling Agencies and all who are working in that business have to cut cost and reduce all reserves that their were before down to zero. In combination with maximum usage of the system under good conditions, the smallest disturbance produces enormous waves. Why? Because the passanger ist not willing to pay more for the ticket - it's that simple. So people have to face the consequences in reduced service and be happy with it because that's what they wanted when they deregulated the market. Well said Christine. Here's something on the lighter note: JFK airport is closed. If you want a Pat-down, you will have to depend on your spouse! As much as I hate to disagree with Joe, I don't think any airline problem ever has just a single answer. Is it snow? Sure. Is it leaving people in airplanes too? Absolutely. Would more people help? Don't disagree. But let's add one more ... C-suite folks who will do just about anything to tame shareholders. Passengers are expendable. Sure airlines hate the bad press, but not THAT much, not enough to add costs to solve those problems and risk heat from those shareholders who claim to own the airline.